Nizar Qabbani” width=”192″ height=”271″ class=”alignright size-full wp-image-972″ />Born in 1923 to a prestigious Syrian family, Nizar Qabbani was to become one of the most loved and revered poets in the Arab world. Qabbani was a diplomat, poet and publisher whose work approached the sensitive subjects of eroticism, feminism, Arab nationalism, love and religion. Qabbani (sometimes spelled as Kabbani), was born into a wealthy and well-known family in Damascus. His father owned a chocolate factory, but it was his political views and activities that influenced the young Qabbani. The elder Qabbani was imprisoned several times during Nizar’s childhood for his support of fighters in the resistance against the French mandate of Syria. Young Nizar adopted his father’s views as his own as he grew, and those views influenced both his life and his poetry. He was also influenced by his great uncle, Abu-Khalil Al-Qabbani, one of the writers whose work greatly changed the face of Arabic drama. Qabbani’s first book of verse was published while he was still at the Syrian University (later to be called Damascus University) studying law. The book, Kalat Liya al-Samraa (The Dark Skinned Said to Me), shocked staid Damascus society with its open and provocative descriptions of women’s bodies and the lush sensuality of Qabbani’s writing. The shock was lessened a bit by the preface to the book, which was written by a friend of Qabbani’s father, Munir Al-Ajlani, the Minister Of Education for Syria. 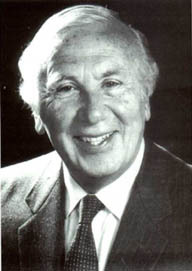 Qabbani graduated in 1945 with a degree in law, and went to work for the Syrian Foreign Ministry. He continued to work at the Ministry until his resignation in 1966, a full twenty years. During his time with the Foreign Ministry, he served posts in Cairo, Beirut, Istanbul, Madrid, London and China. Married, twice, Qabbani had four children. He was no stranger to personal grief. His son from his first marriage, Tawfiq, died of a heart attack at the age of 17, and his second wife, Balqis, was killed in a bomb attack on the Iraqi embassy in Beirut in 1982. He expressed his grief over both deaths in poems which are among his best loved. But there was an older grief that influenced Qabbani’s poetry, and his life. When he was still in his teens, his seventeen year old sister committed suicide rather than marry the man who had been chosen for her. His grief over her death marked him, and much of his poetry speaks of the imprisonment that Arab society imposes on its women. Many of his political poems about Syria liken the country’s imprisonment by France to the situation of Arab women. You will always be in our hearts. I respect all of your work and i adore every word of it. I used to listen to my father when he reads the poems for us , my father respects and loves you too. I wish i can build you a statue all over the arab land to show how much we love you. dear nizar poet of love,peace and revolution! i read ur poetry and translate it into my mother tongue (Sindhi language) u r really a amazing poet of this world.ur poetry gives me enthusiasm and it has taught me what is love and how to love with homeland. you wil always remain my favourite poet. my dad told me about nizar a lot, i have to do a research paper on poet im going to ask my teacher to let me do it on nizar qubbani inshallah he'll say yes because i hate the poet he assigned for me!!!!! I'm using the biography here for a school research assignment and noticed where it mentions the death of his son. It says he died of a heart attack, isn't it supposed to say he died in a car accident?